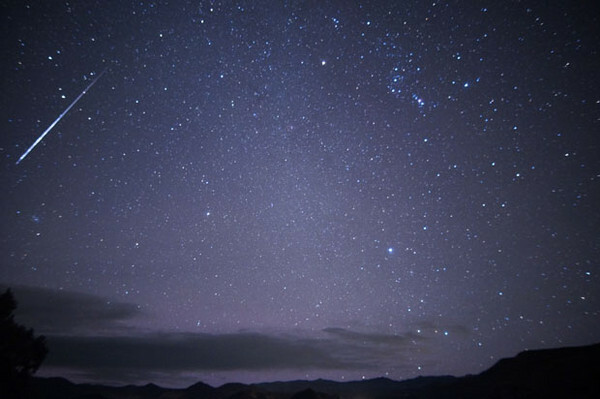 The Orionids peaked on 20 October 2012, but are still visible around the constellation of Orion. Image Source: © Mike Lewinski via The Examiner. In autumn, there is always one special morning of singular light and meaningful wind. Many magicians have tried to name it, usually with indirect reference -- calling it "this" wind or "that" light -- but no single name suffices. Even if you were born in another season, you feel it, but if you were born in autumn, you feel it acutely: it is the very core of your physical existence. It is raw life. This morning, after the Orionid meteor shower cleansed the heavens with star rain; this morning, as the Ch'ang Ho bells ring beneath west wind -- the wind of gates shut upon effulgent sunlight -- this morning, my October birthday morning, autumn's special life came to me again. What is it like? It is like falling in love. Happy Birthday to the blogger at Digital Tibetan Buddhist Altar, and thank you for gracing the Web with such a nice post. Read the rest here, with a day's photos from the San Bernardino Mountains.